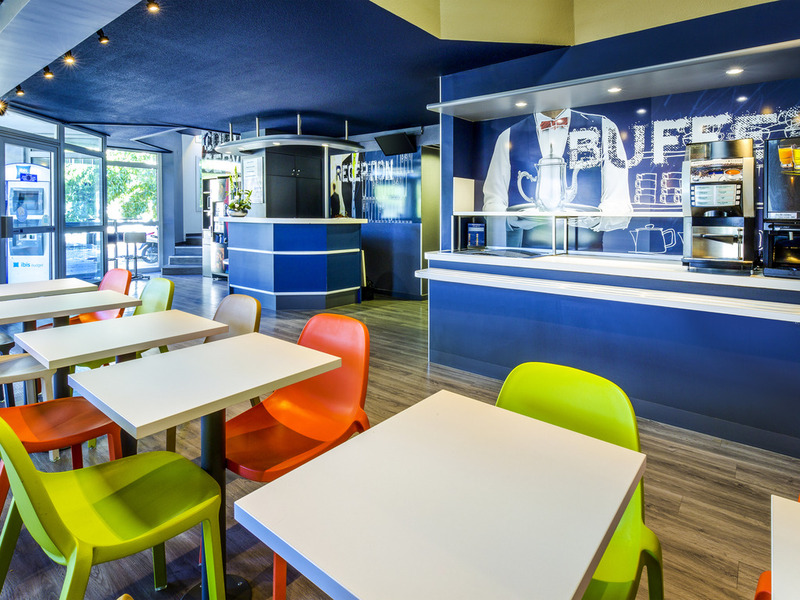 The ibis budget Aubagne les Paluds Agora hotel welcomes you to Aubagne, less than a 5-minute drive from the city center and A50 and A52 highways, as well as less than 20 minutes by car from the Stade Vélodrome, the Calanques in Cassis, and the Paul Ricard Castellet race track. Free WIFI is available throughout the hotel. Rooms are all equipped with air-conditioning and a flat-screen TV. The private bathroom is fitted with a shower. There is also a desk in all rooms. Breakfast is served every morning in our hotel dining room. The hotel car park is free of charge. Five minute walk from the Centre de Congrès Agora. The nearby Aubagne train station is 2.5 miles (4 km) away.